These would be excellent if they were slightly thicker. Are these gloves suitable for assisting with someones personal care as PPE? This is when dealing with body fluids.. I would not recommend these gloves to be used with personal care. We have medical grade gloves which would be more suitable. One of our best selling lines, these Gompels Polythene Gloves offer an economic choice for all environment. 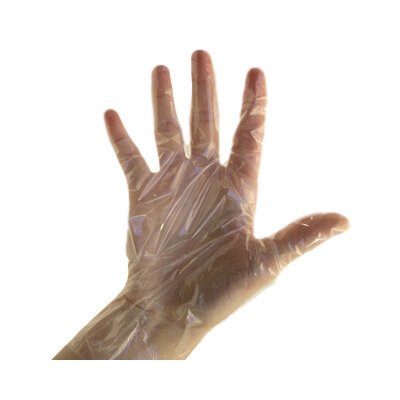 Suitable for use when a medical grade glove is not necessary, these single use disposable gloves are manufactured from a lightweight and high quality polythene. Fully food safe, they work well within catering environments while also lending themselves to protective wear during first aid procedures and general household use. This sizeable 10 packs of 100 polythene gloves each boast an ambidextrous design, allowing them to be quick and efficient to put on while the lightweight design ensures the wearer looses no sense of touch sensitivity during use. Stock up for all those essential moments and make sure you always have a pack of polythene gloves to hand.